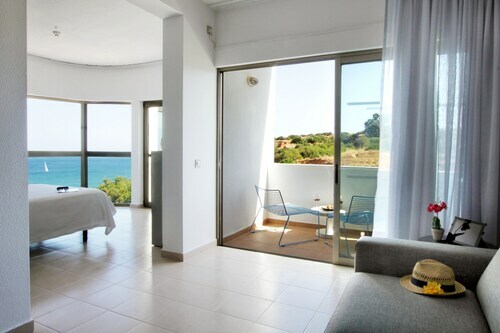 Located in Albufeira, this beachfront hotel is next to a golf course and within 1 mi (2 km) of Maria Luisa Beach, Oura Beach, and Santa Eulalia Beach. 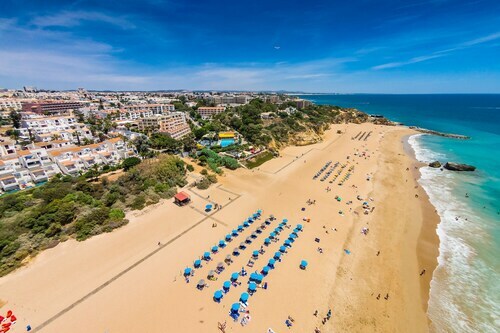 Albufeira Beach and Falesia Beach are also within 2 mi (3 km). 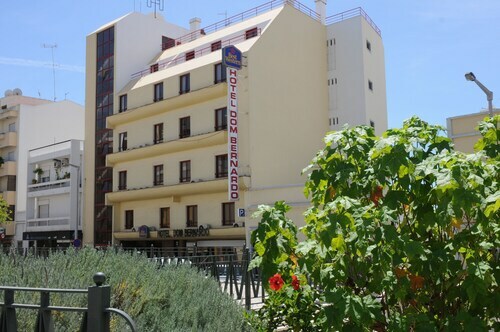 Nestled on the beach, this Albufeira aparthotel is within 1 mi (2 km) of International Health Centers Albufeira, Albufeira Beach, and Oura Beach. Albufeira Old Town Square and Fisherman's Beach are also within 1 mi (2 km). Located in Sé, this hotel is within a 15-minute walk of A Companhia de Teatro do Algarve, Ria Formosa Natural Park, and Faro Old Town. Antonio Sergio Park and Carmo Church are also within 5 minutes. Faro Station is 12 minutes by foot. Located in Sé, this hotel is within a 10-minute walk of Sao Pedro Church and Ria Formosa Natural Park. Faro Old Town is 0.5 mi (0.8 km) away. Faro Station is only a 3-minute walk. 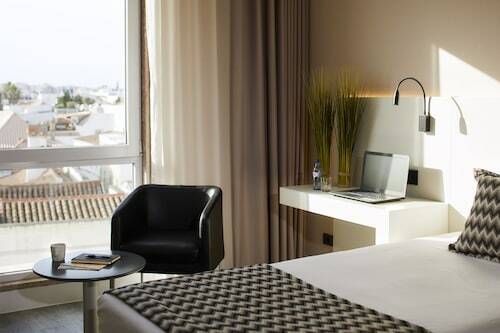 This family-friendly Portimao hotel is located in the historical district, just steps from Portimao Harbor and Jesuit College Church. Rocha Beach is 1.9 mi (3.1 km) away. 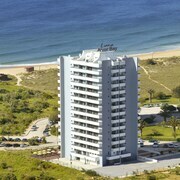 Portimao Station is 6 minutes by foot and Lagoa Ferragudo Station is 25 minutes. 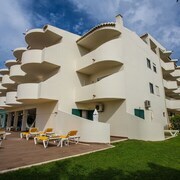 Nestled on the beach, this Albufeira hotel is within a 15-minute walk of Arrifes Beach and Sao Rafael Beach. Albufeira Marina and Fisherman's Beach are also within 2 mi (3 km). 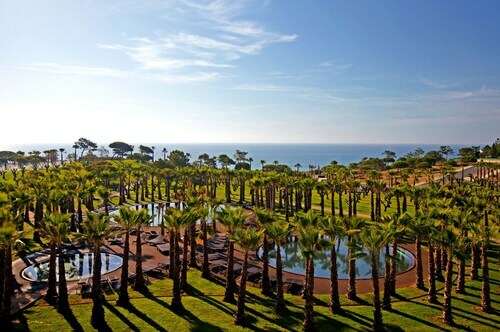 This family-friendly Vilamoura hotel is located by the ocean, within a 10-minute walk of Vilamoura Marina and Falesia Beach. 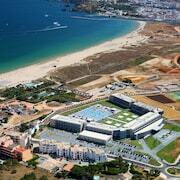 Vilamoura Beach and Quarteira Beach are also within 3 mi (5 km). 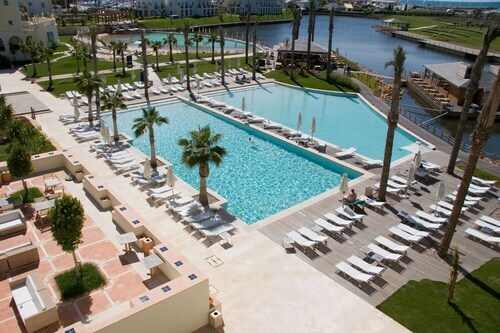 Nestled on the beach, this Vilamoura hotel is just steps from Casino Vilamoura and Vilamoura Beach. Vilamoura Marina and Quarteira Beach are also within 1 mi (2 km). 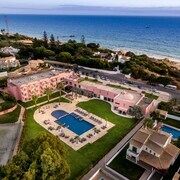 Located by the ocean, this family-friendly hotel is within 6 mi (10 km) of Casino Vilamoura, Marina Beach, and Vilamoura Beach. Vilamoura Marina and Quarteira Beach are also within 6 mi (10 km). 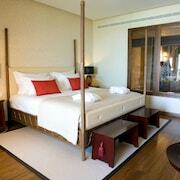 How Much is a Hotel Room in Algarve? 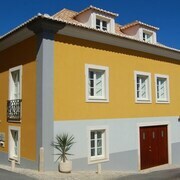 Hotels in Algarve start at $35 per night. Prices and availability subject to change. Additional terms may apply. Pack your bags—it’s time to embark on a getaway. Whether you’re craving a solo retreat or promising your family a vacation to remember, book one of the best hotels in Algarve. These hotels are located within easy access of the city’s hottest attractions and entertainment, so you won’t miss a beat while you’re in town. Spend the days exploring the local landmarks and the evenings getting to know the nightlife. After exploring the city from top to bottom, rest up at a hotel that speaks to you. Find the perfect place that matches your trip’s vibe, from a trendy boutique to family-friendly accommodations. 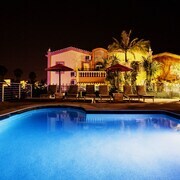 Allow us here at Travelocity to pair you with up Algarve hotels that suit your vacation preferences. Discover places with convenient on-site restaurants, around-the-clock service, and pools where your kids can make a splash. Some hotels may boast fitness rooms and spa services, while others feature game rooms and Wi-Fi access. To top it all off, you’ll score cheap hotels in Algarve that let you spend more on your activities and less on your lodging. Book and bundle your flight and hotel deals together today and save up to $537. It’s time to explore a new city, and break out of your routine. It was a great hotel, with a nice bar and reasonable food and drink prices. They also offered a shuttle to the beach and airport. And had a great breakfast which was included. Would definitely recommend this hotel. 5.0 Newly remodeled and beautiful view! 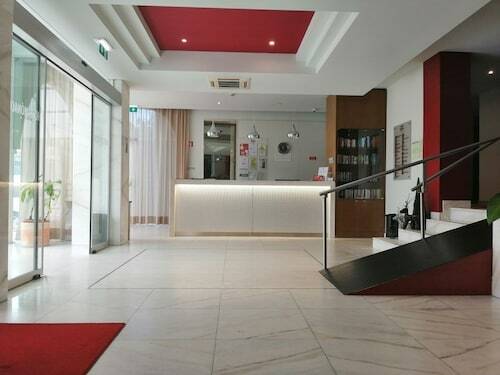 The hotel with the best view, it is quite amazing, walking distance to town center. Everyday there was a swarm of fruit flys in the room. They were also thousands of them in the hallways. It didn’t appear as if the staff ever did anything to prevent the flys or clean them in anyway. 5.0 Perfect family vacation with vacation for parents! This property and staff are wonderful! This was our second stay (2 years later) and we were thrilled to have a vacation where our children could be entertained in a safe organized environment and we could get a little break too! The kids clubs are amazing and though our kids felt a bit older this time ( ages 6 , 7), they loved the facilities and having some freedom from us. Restaurants (especially the seafood) are excellent quality and all have great kid options that are healthy. Our ocean house was a perfect size and outfitted with just the right amount of kitchen gadgets needed for breakfast and some lunches in. Mercado onsite is well priced and has a decent selection. It is quite slow for coffee service though. There is a supermarket not far if you want other options. Overall wonderful stay. If you want to travel with small children--under 6--I couldn't recommend any place more than Martinhal. 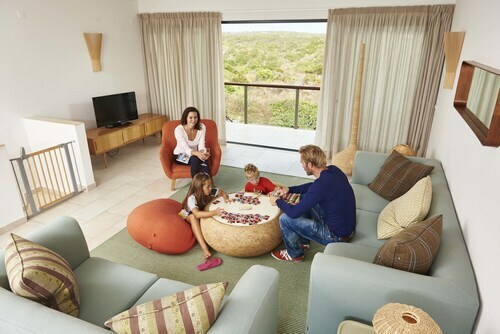 They have such wonderful amenities for young families in the villas, kids clubs, and restaurants. We had a great stay, the buffet was wonderful, in fact the restaurant was terrific in its own right. Since it just outside the old city you coudn't ask for a better location. Highly recommended.